On the recent conversation in our community about originality, adaptation, translation, credit, plagiarism. A few weeks ago Yuki Ellias posted a question on Facebook. You can read her entire post here. Yuki is a director, actor, pedagogue and one of the most respected theatre-makers in the industry. She spoke specifically about The Company Theatre’s Detective Nau Do Gyarah and its selection by the Mahindra Excellence in Theatre Awards (META) jury as a final nominee in several categories. In particular, she questioned the criteria being used, and specifically asked what META’s position was on pieces that – on the face of it – blurred the lines around adaptation, inspired by, homage and the word that caused the most pain to hear – plagiarism. The topic hit a nerve amongst theatre-makers. Because of what it said about us as a community – where there has been a general unstated “acceptance” for work existing along this spectrum. The post took on a life of its own, the huge social media outcry that comes with anything controversial, followed. We all read through these conversations and contributed our two bits. And at the end of this, the Company Theatre’s response was to unilaterally withdraw their candidacy from META while denying plagiarism. I write this post to address the pain and angst this entire incident caused among many of our colleagues, many of whom are associated with the DSM family. In acts of collaborative creativity, where no idea is truly new and everything has been done before – how do we re-create, create a-new, or re-represent what has been created before as-is, with honesty and integrity in our approach? People have claimed that this was personal, cried foul in the manner in which the questions were raised on a public platform (and it is a fact that there were many discrete attempts at raising this issue prior to Yuki’s FB post). Theatre journalists further contributed to the confusion through intellectualizing, querying the right of anything like this being raised, through the use of what-abouterry, and a series of apologist arguments. All of this has done the issue itself disservice, by taking focus away from the key question. And if we leave the matter here, then all we have done, is act out in miniature, the same story that has robbed this country of a healthy dialogue in its democracy, where every real issue of national importance is obfuscated through similar practices, on a national scale. Is this the way in which we want to reflect society in our own practice? If we truly want to transcend this moment, then we must create and hold space for dialogue, ask the hard questions, and attempt the answers. We must do this not with the intent of being right, but to gain clarity to go on and make better work. Part of the solution in transcending this moment is to remember that we are all at heart, generally good people, who are capable of making mistakes, and who also are capable of great moments of creativity as well. We have all decided to stay in this challenging sector and make something of it. At the DSM, we attempt to teach our students how to negotiate moments of conflict in the ensemble in this way, how better to demonstrate to ourselves and to the society to whom we are supposed to hold a mirror that there is a better way of negotiating conflict. We can no longer shy away from them by claiming that by doing so is to debilitate us from doing the plays we want to do, we have to find a way that is ethical and correct, and not simply a convenient work around. And ultimately, the question that Yuki posed remains, for all of us to seriously consider and articulate for ourselves. In acts of collaborative creativity, where no idea is truly new and everything has been done before – how do we re-create, create a-new, or re-represent what has been created before as-is, with honesty and integrity in our approach? How do we be clear at all times about what we are doing, and how we have come to the work we are re-presenting, be it in the way of credit, homage, adaptation, re-creation? It is essential to answer these questions before moving forward in making more work. For two reasons, it tells us what role our own creativity plays in the project we are working on. Is it just a matter of craft and skill in doing what has been done before, and in the re-doing of it, being about the pursuit of virtuosity rather than the act of new composition, or new creativity? Where do we want to insert our own creative interpretation, and utilize our own capacities for re-telling the story? The second is a much more pragmatic real-world issue, and has to do with practices that exist in other industries, like music, literature, academic writing. That is that we must use musical work under license, stage scripts with the authors consent, quote the author from whom we take a line, and build an intellectual argument with the clear acknowledgement of where the original thought came from. Yes, to do this for plays, will give us challenges of royalties, permissions, rights. But we can no longer shy away from them by claiming that by doing so is to debilitate us from doing the plays we want to do, we have to find a way that is ethical and correct, and not simply a convenient work around. It is not just the character, but the actor, it is not just the actor, but the theatre professional, that must exercise these muscles (of honesty and integrity). Some time back Prithvi Theatre was informed by law firms protecting the copyright of pre-recorded music being played in performances, to enforce the protection due to the artists and record labels owning that work. They acted by issuing a circular to all groups that the practice of using existing soundtracks must be accompanied by permissions where necessary, proof of payment of license and royalty. Groups adapted and figured out how to work with original scores, or used other methods that challenged them to find creative solutions for that work. It is concerning to me then, that it takes a force external to the community, to make us work in line with correct practices. We cannot limit our expectation of honesty and integrity to the in-the-moment performance on stage. It is not just the character, but the actor, it is not just the actor, but the theatre professional, that must exercise these muscles. In Atul Kumars response, he denied plagiarism and unilaterally pulled Detective 9-2-11 from consideration by the META jury. I think in this act, there was an acknowledgement by him of the lack of clarity around attribution and that it being up for consideration for various categories of award was problematic. I think this was a step in the right direction, and offered the beginnings of a space in which we all can now learn something from. Now, we must follow through and complete this learning journey. 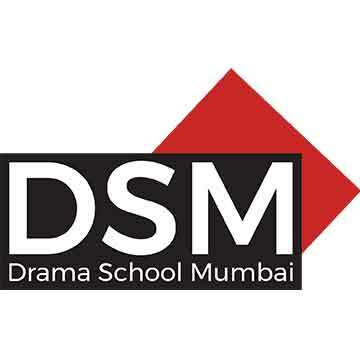 The DSM students spend a year on this course in which we work hard to drill into them the ideas of honesty in performance and in life, integrity in their approach to making work and being able to confront and work through conflict with their peers. Throughout this time, they look up to all of us in the community, making our work. Then, they become our peers. This community has it in them, to consistently exercise these muscles, to make work that is the best representation of our practice, and through them, make the stories with values in them that not just the community can learn from, but our audiences as well. Yuki Ellias is a close collaborator and long time faculty member of the Drama School Mumbai, playing a huge role in its development during its nascent years. Much of the DSM’s DNA comes from a key belief that Yuki, and I wanted to work with. One of which is honesty and integrity in the work, the truth of the moment, the truth of the performer, this is supposed to resonate in every attempt of our students. Atul Kumar, and the The Company Theatre has had a history of making many remarkable plays, and there have been many moments in TCT’s theatre making that have been an absolute fascination to watch, delight in, and remember. Many DSM student trips have been organised to go and see TCT productions for their sheer craft, energy and and virtuosity. Vikram Phukan, has been on the jury panel this year at META, and himself has worked hard to build much of the DSM’s program around Theatre Appreciation and History. He is an avid advocate of the DSM. Sanjoy K Roy, head of Teamwork Arts, the organisation that runs and curates META is an advisor and counselor to the DSM, and has been a great supporter of our attempt to create a space for training a future generation of theatre makers. Teamworks is a patron to the DSM as well. Mahindra Excellence in Theatre Awards has selected some incredible plays in its many year history, and has become something many of us look to as our first real benchmark to strive towards, when making work. I dream of the day when our alumni can get those awards for their creations. The Drama School Mumbai has had the honor and privilege of curating a series of workshops and presentations by theatre makers from all over the country at META this year, under the banner learning@meta. Each one of these people and organisations are respected, have done much for the cause of theatre, and are contemporaries and collaborators to us, and each other in many different instances. To say we are all connected is an understatement.